Drug dealers are thought to be running more than 50 ‘county lines’ operations in Sussex, Police and Crime Commissioner (PCC) Katy Bourne was told last week. A county lines operation typically sees drug gangs from large cities expand their network into areas where there is less competition from other gangs. The lines refers to the mobile phone numbers, which the gangs use to arrange the sale of drugs. Speaking at a public meeting on Friday (October 19), Deputy Chief Constable Bernie O’Reilly said Sussex Police estimates that there are around 50 such drugs networks currently operating in the county. DCC O’Reilly said: “We’ve probably got over 50 active county lines operating across Sussex at the moment. We have disrupted lots of lines and stopped lines from becoming established. 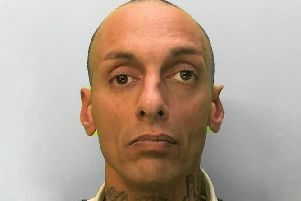 “We have disrupted drug dealers coming down into Sussex and we have also disrupted addresses where they were trying to get a foothold to use as one of the established addresses for selling the drugs. “This week alone, we are participating very much in the county lines intensification week and are taking enforcement and prevention action where we think it is absolutely necessary. DCC O’Reilly added that there were often safeguarding concerns, as the gangs are known to target young children to act as dealers and smugglers. There is also often ‘extreme violence and intimidation’ as gangs attempt to set up in a new area, DCC O’Reilly said. DCC O’Reilly made his comments in connection with the news that the National Crime Agency (NCA) had set-up a new national coordination centre intended to crack down on county line operations. The Home Office says the multi-agency team of 38 experts will help to coordinate information and target the most serious offenders in an attempt to drive down violent crime. DCC O’Reilly said: “We believe nationally that there are, at any one time, hundreds of county lines underway. “We may have intelligence on a particular phone line, or a particular gang, or a particular young person, that has been exploited and needs protecting. Kent [Police] may have some information and the Metropolitan Police may have some information. “We would overlay that information, times three, into the coordination centre, have a much better picture and then decide what is the priority. Is it enforcement? Do we need to make some arrests here? Is it safeguarding or is it disruption?